The Shelton boys’ basketball team held off Gig Harbor Friday 51 to 41. The Highclimbers never trailed in the game and held the Tide to three points in the first quarter, building a nine-point lead. That lead increased to 14 in the second quarter. Gig Harbor managed to cut a 26-16 half lead to four points in the third quarter but the ‘Climbers pulled away going up 12 and leading 40 to 29 heading into the fourth. In the final period, Shelton held a 15 point lead but the Tide cut that to seven befor the Highclimbers pulled away again. Ty Thompson once again led Shelton in scoring with 14 points. Kyler Gall added 11. Gig Harbor’s Joe Owens led all-scorers with a game-high 17 points hitting four three-pointers. 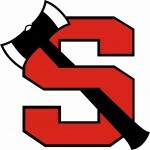 Shelton improves to 11-and-5 on the season, 7-and-3 in the South Sound Conference. The Highclimbers are currently in third place in the SSC standings. They travel to Timberline Wednesday. Our friends at Sound Sports Net will broadcast that game. The Shelton girls’ basketball team couldn’t stop Gig Harbor Friday and lost 61 to 16. The Lady Highclimbers drop to 4-and-12 on the season, 2-and-9 in the South Sound Conference. Shelton host Timberline Wednesday on MasonWebTV Powered by HCC. 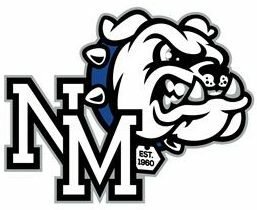 The North Mason boys’ basketball team beat Kingston for the second time this season as the Bulldogs knocked off the Bucaneers 52 to 43 on Friday. The boys from Belfair improved to 7-and-9 on the season, 2-and-7 in the Olympic Legue. They host Port Angeles Tuesday. The North Mason girls’ basketball team came up point short of Kingston falling 66 to 65 Friday. The Lady Bulldogs are now 8-and-9 on the season, 1-and-8 in the Olympic League. The girls’ from Belfair travel to Port Angeles Tuesday. You can find that game on the NFHS Network. 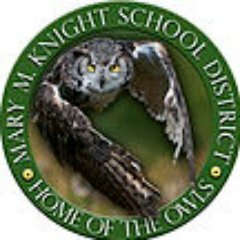 The Mary M. Knight boys’ basketball team lost their first 1B Coastal League game Friday falling to Taholah 69 to 47. The Owls drop to 4-and-1 in league play, 9-and-6 overall. The boys from Matlock travel to Morton/White Pass Saturday. No score reported for the Mary M. Knight/Taholah girls game.